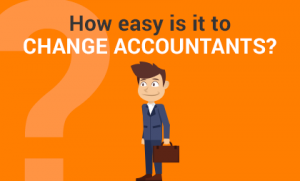 Kim Marlor talks about how it really is very easy to change accountants and why you should just do it. Your current accountant may be causing you stress and costing you money so it’s time to see what is out there and make the move. Remember poor service, fines from HMRC or Companies House, no proactive business advise are NOT the NORM…..you deserve better. This entry was posted on Friday, December 29th, 2017 at 11:33 am and is filed under Knowledge Centre. You can follow any responses to this entry through the RSS 2.0 feed. Both comments and pings are currently closed.